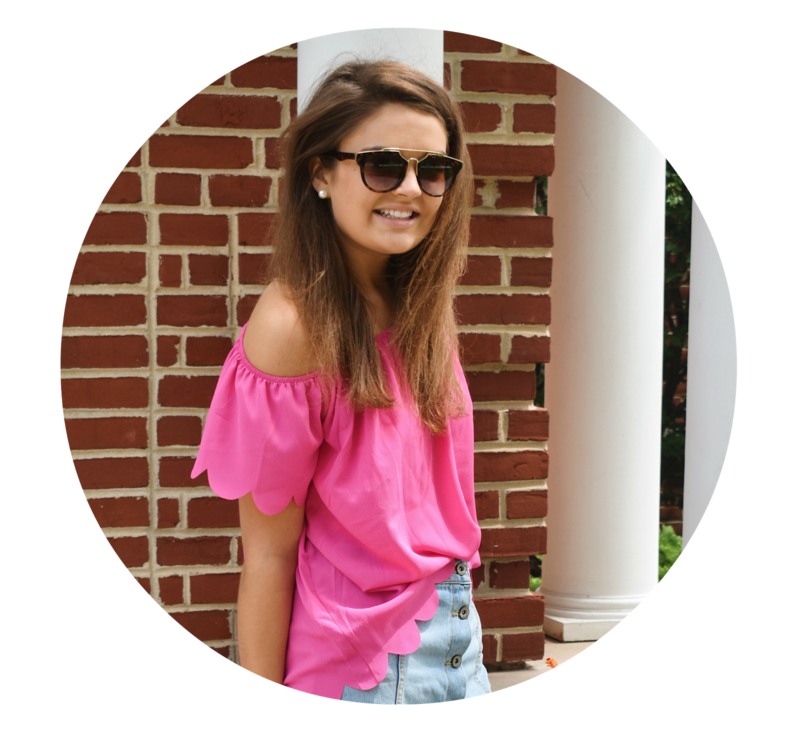 Since I always talk about working out and creating exercise routines, I thought it was about time I showed you what I wear when doing so! Similar to my everyday style, I like to have a few nice pieces to go to when exercising instead of having many lesser quality ones. For example, I knew Thomas Kelly's products are great quality, so of course I had to try out their new racer tank. Let me tell you, this top is absolutely perfect! I'm super picky when it comes to exercise tops (tank tops in particular) and this one is too cute - super soft but lightweight and comfortable at the same time. Not to mention, it is super fun when paired with either yoga pants or shorts. 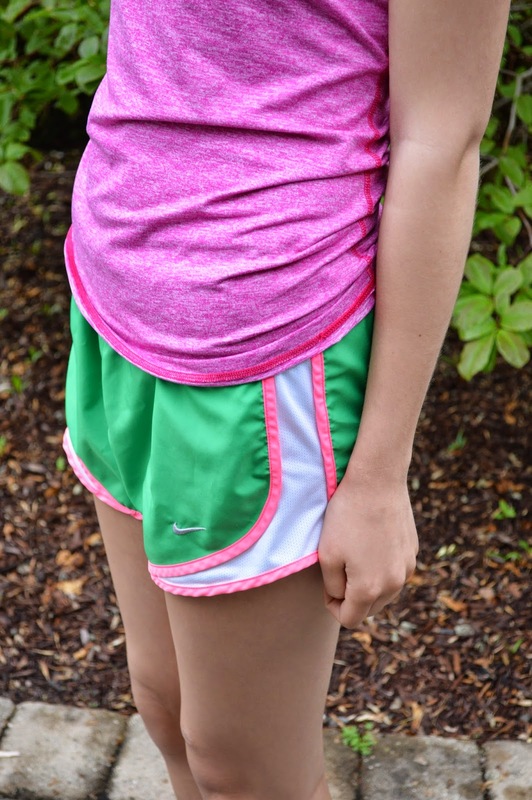 Nike shorts (#norts) are my favorite kind to wear because they fit so well and are so breezy. 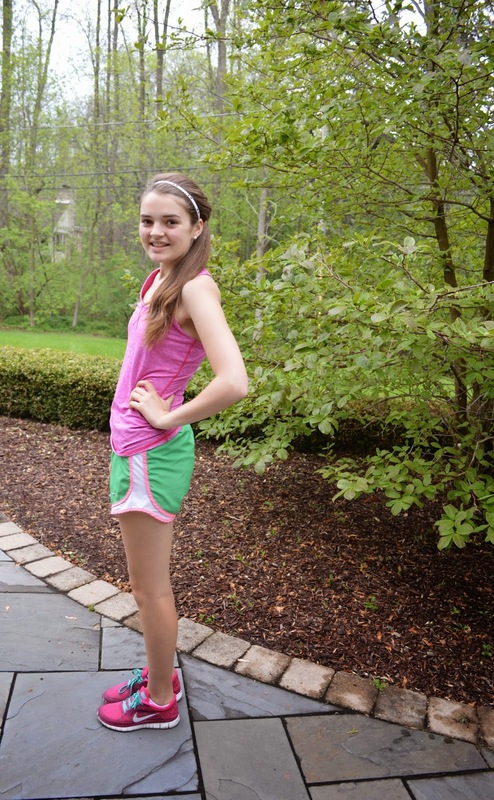 Throw on a pair of running shoes (I swear by these Nike ones) and a headband and you're set! Old Navy and Target always have great workout wear for less expensive as well - Old Navy's athletic leggings are my favorite! What is your favorite workout outfit? Love this! I never work out, so I don't really have a favorite workout outfit haha!